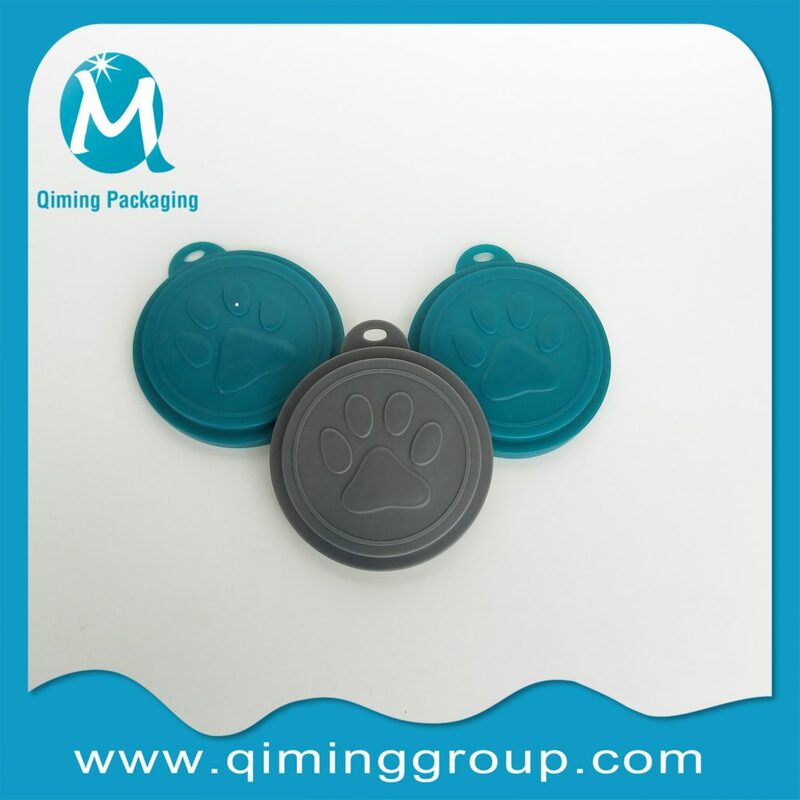 Qiming Pet Food lids fit both Cat and Dog Food Cans of customized color available. 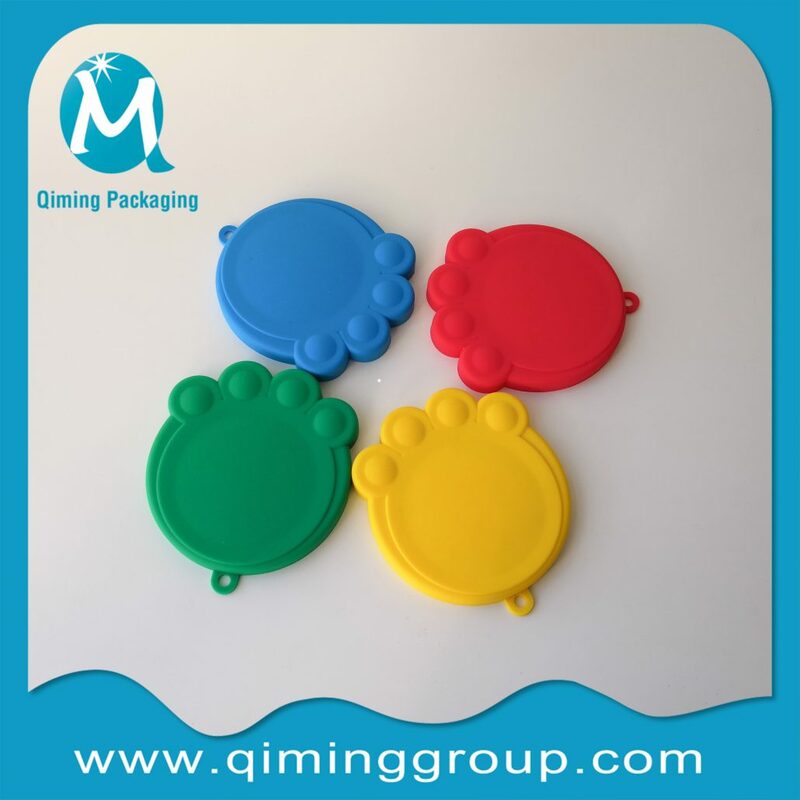 Colorful, durable, made of PE and silicone. Keeps your left over pet foods fresh to avoid wasting. 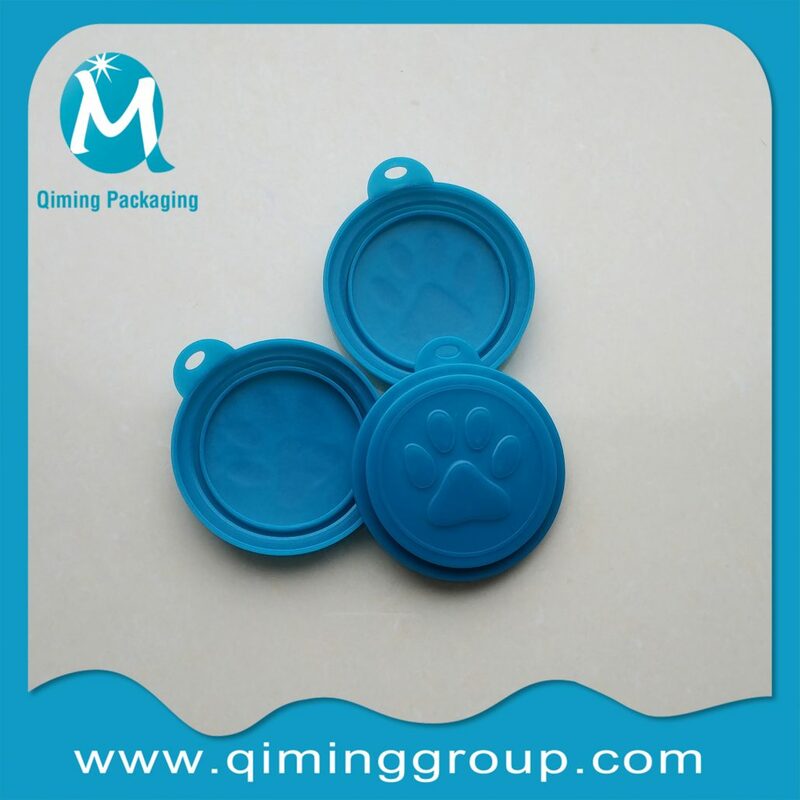 Qiming pet food lids are meant to be more of a universal fit so they will work with most can sizes. Free sample for you to check. 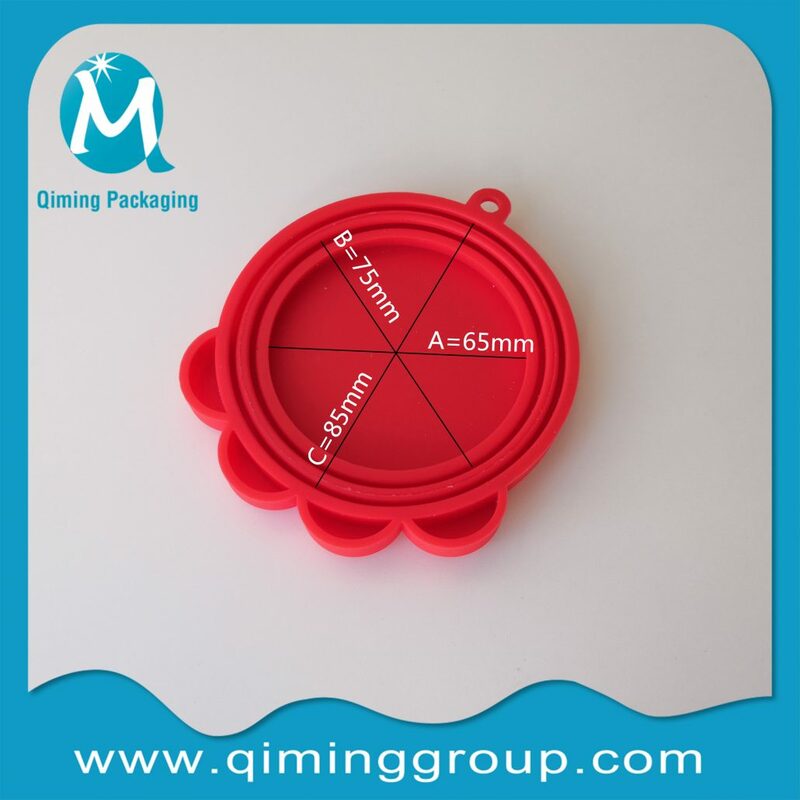 Silicone material has excellent heat resistance, cold resistance, dielectric properties, resistance to ozone and atmospheric aging performance, The outstanding performance is that it can be used in a wide range of temperature, can be in 60 ℃ temperature (or lower) to + 250 ℃ temperature (or higher) use for a long time. It has excellent physiological inertia, non – toxic, tasteless. 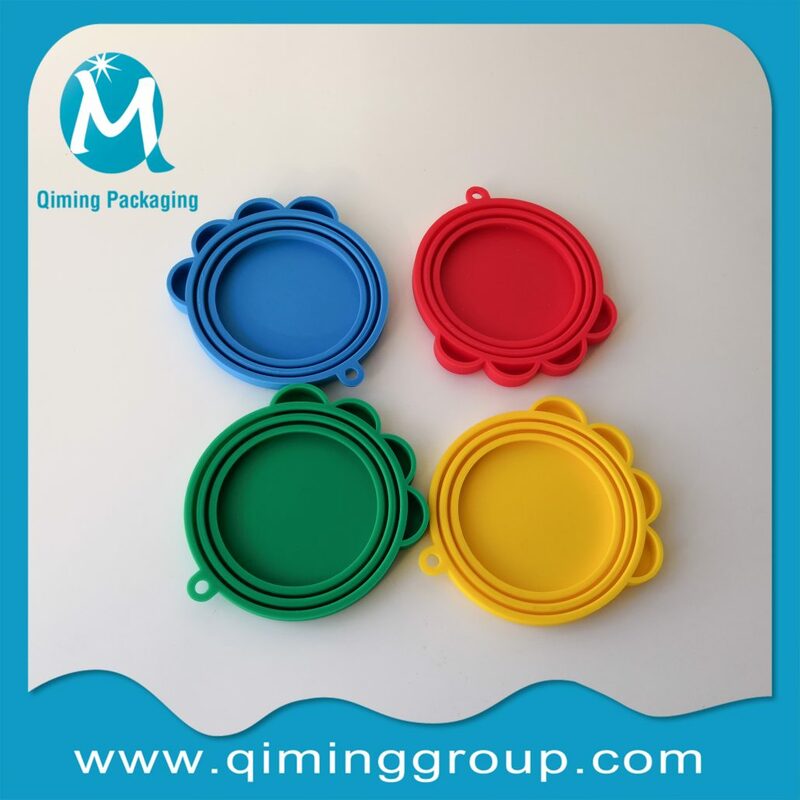 PE is non-toxic, tasteless, has good low-temperature resistance (the lowest temperature can reach 70 ~ 100 ℃), chemical stability is good, It can stand most of acid and alkali erosion (acid). 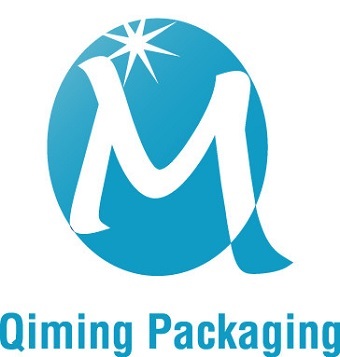 PE does not dissolve in solvents at normal temperature, small water imbibition, good electrical insulation performance. 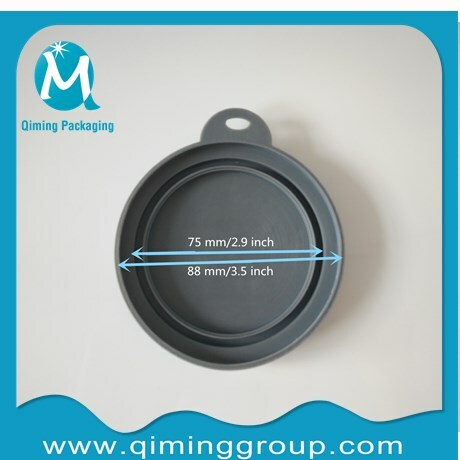 Under normal temperature, it is relatively hard, inelastic. When the temperature reaches 80 degrees, it begins to be softening. It will lost the use function at 150 degrees.